Hand printed fat quarter comes in white or natural with black or red ink. Panel has 24 verses for the quilter at work. TQRT Pattern available. 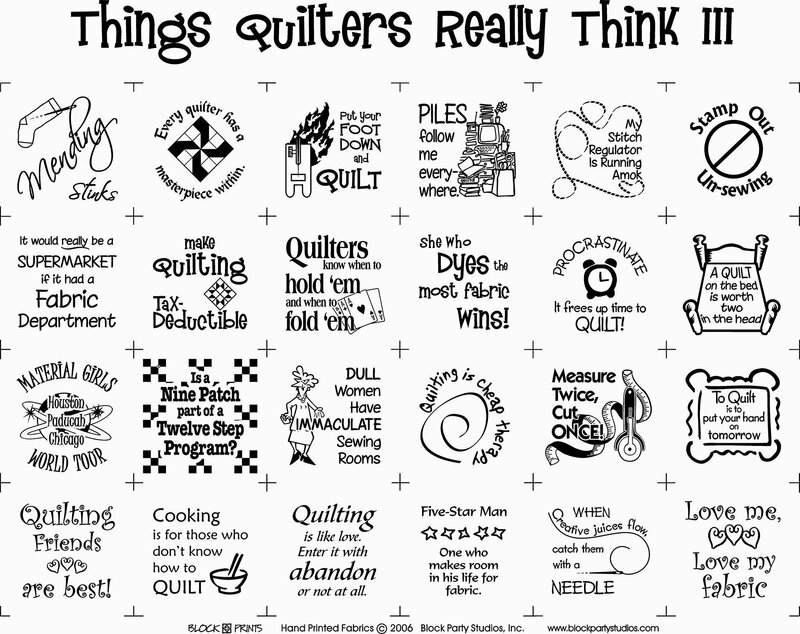 Also available in this series - Things Quilters Really Think II fabric panel, Things Quilters Really Think IV fabric panel, Things Quilters Really Think V fabric panel.